In Indiana’s litigation-friendly environment, the number of professional liability cases filed each year is not surprising. Plaintiffs’ lawyers are continuously exploring new ways to recover larger and larger rewards against professionals. As a result, there is a need for experienced counsel to defend professionals when faced with professional liability. O’Neill McFadden & Willett LLP has an experienced bench of trial attorneys that can guide a professional through each step of a professional liability claim. Our diverse client base includes lawyers, medical professionals, accountants, directors and officers, insurance and real estate brokers, as well as architects and engineers. Our extensive experience in these areas have led to the development of a wide range of relationships with consulting experts, which serves to the benefit of our clients. At OMW, we work closely with our clients to determine the best strategy and approach to each litigation matter. This typically results in an aggressive plan that leads to a favorable resolution. 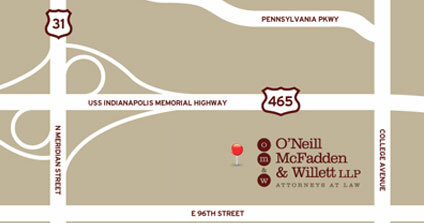 The lawyers and professional staff at O'Neill McFadden & Willett LLP, are dedicated to providing quality, creative and cost-effective legal representation to current and future clients who place their confidence in our hands. 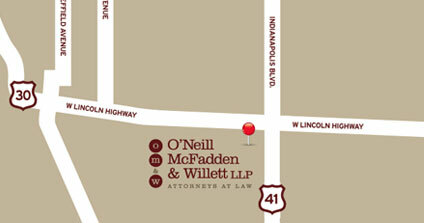 O'Neill McFadden & Willett LLP's lawyers are best known for their aggressive and cost-effective trial practice and appellate experience, attention to detail, and team approach to litigation. Copyright © 2019 O'Neill McFadden & Willett LLP. All Rights Reserved.